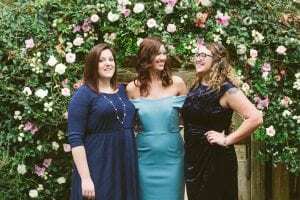 Every month we take time out of our busy blog to share with you more about us, so this month I thought it would be fun to share more about who we are and how we came to work together creating our friendship! Our owner, Amanda, founded the company on June 29, 2015, with the vision of creating meaningful weddings for wonderful clients. The company has grown so much in such a short period of time. Brittni and I joined in 2016 both having known Amanda outside of the wedding industry. I joined the team in late 2016. Amanda and I actually went to high school together, graduating only a year apart. We weren’t that close in high school but we followed each other on social media and were able to keep up with each others’ lives long after leaving the bustling metropolis that is Elizabeth City (I hope you understand this sarcasm). 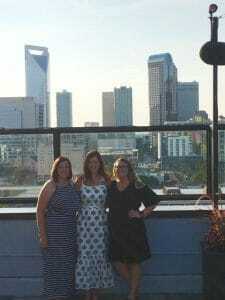 We both found ourselves in Charlotte and connected out of our love for event planning. We had a meeting at Rush Espresso (one of Amanda’s favorite spots) and caught up. 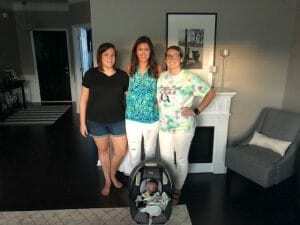 I had been teaching for the past 4 years and my Type A organization and need to plan everything was exactly what Amanda was looking for on the team! Since we are friends we often find time to get together in between our busy wedding schedule. 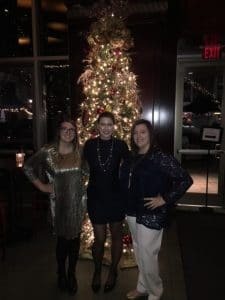 We’ve enjoyed sales meetings at Amanda’s house, prosecco pops at City Lights, Christmas gatherings at Del Frisco’s, and even taco parties at my place. We love any chance we get to catch up and hang out with each other. Want to join the Magnificent Moments family? Contact us today, we would love to get to know you!